* The price of petrol could drop by as much as R1.07 per litre on Wednesday 7 January, its largest drop ever, predicts the Automobile Association. The price of diesel is expected to drop by 85 cents a litre. * Well-known UK wine writer and judge Jamie Goode has selected his top 10 South African wines: Sadie Family Pofadder Cinsault 2012, Newton Johnson Family Vineyards Pinot Noir 2013, Rall White 2012, Iona Chardonnay 2013, Savage Red 2012, Cape Winemakers Guild (CWG) Mullineux Semillon Gris 2013, Testalonga El Bandito Skin Contact 2011, De Morgenzon DMZ Reserve Syrah 2012, Beeslar Pinotage 2012, and Klein Constantia Vin de Constance 2008. Carters in Birmingham. HKK in London, and Alain Ducasse at The Dorchester in London. Perhaps Eat Out could add such an evaluation to its Restaurant Awards?! Cape Chamonix Platter Winery of the Year, Franschhoek tops second year running! 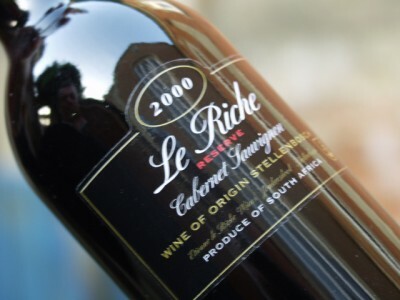 Franschhoek has shown the wine industry that it is a serious wine destination, winning the Platter’s 2013 Winery of the Year a second year running, the accolade going to Cape Chamonix wine estate, and its winemaker Gottfried Mocke. The Mullineux Family Wines of Riebeeck Kasteel also performed excellently. Publisher Andrew McDowall announced that the blood orange colour of Platter’s South African Wines 2013 is ‘West Coast Sunset‘ this year. Published for the 33rd time, the publication has started a ‘relationship’ with and has become ‘engaged’ to Diner’s Club, the credit card brand appearing on the wine guide cover for the first time. McDowall hinted that a ‘marriage’ may follow! For the new Guide, 900 wine estates and 7300 wines were evaluated, 54 of the wineries being new. The largest number of 5 stars was awarded ever, to 62 wines. The theme of the publication this year is ‘Backstories’, showcasing the dreams, passions, challenges, and successes of the wines featured in the Guide. Michael Fridjhon opened the proceedings, and spoke about his first involvement with the Guide 30 years ago, when it was owned by Erica and John Platter, who had just moved to Delaire at that time. He shared that Erica Platter was very strict, and a word such as ‘mouthfeel’ was banned by the tasters. He said that 30 years later, ‘the guidelines for the tasters have become far more rigorous, but that the editors are gentler’. Fridjhon was congratulated for having been announced as the International Wine Columnist of the Year 2012 in the Louis Roederer International Wine Writers’ Awards. The motivation for choosing Cape Chamonix as the 2013 Platter Winery of the Year, in addition to winning four 5 Star Platter Awards for its Greywacke 2010 Pinotage, Pinot Noir Reserve 2011, Chardonnay Reserve 2011, and White Blend Reserve 2011, is ‘Kaizen’, Platter’s editor Philip van Zyl said, the process of continuous improvement, and the seamless integration of viticulture and winemaking by the same team. 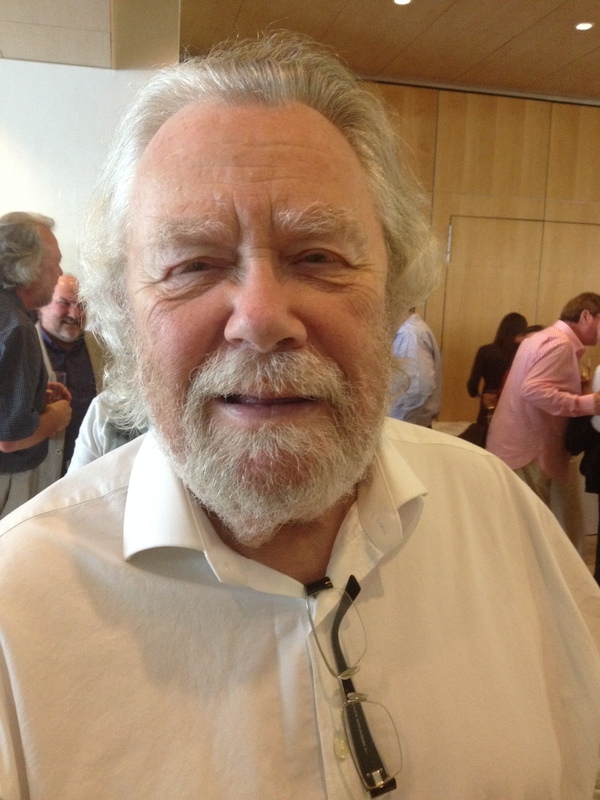 This has made Cape Chamonix one of the top wine growers in the country, he said. Winemaker Gottfried Mocke has worked at Cape Chamonix for eleven years, and proudly shared the honour with his assistant winemaker Emul Ross, who has worked with him for just over a year. The husband and wife team of Chris and Andrea Mullineux did well last year, and repeated its performance this year, winning three five star Platter awards for its Mullineux Family Syrah 2010, Straw Wine 2011, and Schist 2010, and was recognised for Red Wine of the Year for its Syrah. Nederburg (Ingenuity 2011, Winemaster’s Reserve Noble Late Harvest 2011, Sauvignon Blanc-Semillon Private Bin D252 2012) and Fairview (La Beryl Blanc 2011, Nurok 2011, Jakkalsfontein 2009) also received three five stars each. 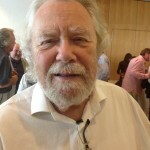 The White Wine of the Year went to Paul Cluver Noble Late Harvest 2011. Superquaffer of the Year, selected out of 12 candidates in a 2,5 – 3 Platter star band and costing R 50 – R70 a bottle for reds and R40 – R60 for whites, was selected as the Muratie Melck Shiraz Cabernet Sauvignon 2011. Three of the Platter’s winners could not be present, being stranded in America due to Hurricane Sandy: Ken Forrester, Pieter Ferreira, and Kathy Jordan. Catering was by the Vineyard Hotel, and one of the waiters said that each of their canapés was planned to be paired with a wine varietal. An unusual combination was the strawberry Turkish delight dessert. It would appear that Franschhoek’s reputation as the best wine destination in South Africa will receive another boost on Saturday, when it is likely that Marc Kent of Boekenhoutskloof will be announced as the 2012 Diner’s Club Winemaker of the Year, judging by the posters on lamp posts throughout the village, announcing that ‘Franschhoek home to the Diner’s Club Winemaker of the Year 2012‘, without mentioning his name. Kent is the only finalist from Franschhoek. Discussing this with Christian Eedes at the Platter function, he expressed his disappointment, in saying that it takes the ceremony out of the award evening if the result is known up front. POSTSCRIPT 31/10: This blogpost received an honourable mention from Neil Pendock on the Times Live blog today, quoting our last paragraph about the Diner’s Club Winemaker of the Year Award in full. The question he raised is how Boekenhoutskloof managed to not receive any 5 stars from Platter yesterday, yet was named Winery of the Year 2012, and how anyone could know the results of the Diner’s Club Winemaker of the Year 2012 accolade, as the wines were tasted blind! We have heard that the Diner’s Club awards function will be held in Franschhoek, and the poster headline may have referred to this, yet that would make the wording misleading. POSTSCRIPT 3/11: The Diner’s Club Winemaker of the Year posters in Franschhoek were certainly misleading. Razvan Macici, Cellar Master of Nederburg, has been named Diner’s Club Winemaker of the Year 2012. Interesting is the Tweet from Llewellyn Lambert, who attended the event, that finalist Marc Kent of Boekenhoutskloof did not attend the Awards dinner. 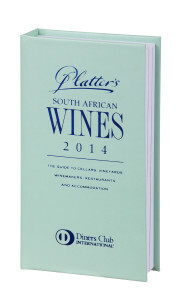 Platter’s South African Wines 2011 goes green! 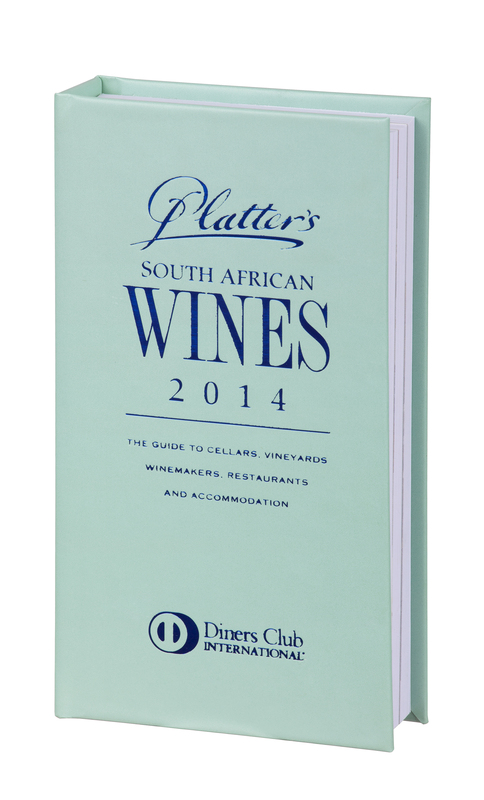 Not only is the 2011 edition of Platter’s South African Wines grass green in colour, but it also focuses on sustainability in the guide by highlighting the work by organisations and individuals in protecting and restoring the environment, and in promoting biodiversity. Each of the invited guests at the launch function received their guide in a lively new multi-coloured carry-bag which Woolworths is selling, to educate wine drinkers about responsible wine production and drinking. Launching the 31st edition of Platter’s at Capelands in Somerset West yesterday afternoon, publisher Andrew McDowell said that 6500 wines had been evaluated sighted from 800 producers, and the highest number of 5-stars ever was awarded to 58 wines. The short-list of wines was tasted unsighted, and resulted in the final list of 5-star wines. The Red Wine of the Year was voted as De Trafford Shiraz 2008, described by the judges as “pure hedonism and promising outstanding development over the next decade”. White Wine of the Year was Fleur du Cap’s Bergkelder Selection Noble Late Harvest 2009, made from chenin blanc in the main, and was described as “arresting, with astounding balance of ripe fruit and crisp acidity”. Superquaffer of the Year, offering outstanding value, was Nederburg Lyric 2010, a blend of chenin blanc, sauvignon blanc and chardonnay, described as “a celebration of fruit and a delightful demonstration of how well the three varieties can work together”. The Platter’s Winery of the Year went to Nederburg, in recognition of a ‘winery (which) stood head and shoulders above the rest’. 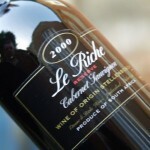 The winery won eighteen 5-star ratings in eleven editions, and five 5-star wines in the new edition. Cellarmaster Razvan Macici was delighted to receive this prestigious honour, particularly as he is celebrating his 10th anniversary at Nederburg. The Woolworths Biodiversity & Wine Initiative bags depict colourful images of wine glasses, bottles and proteas, and the logo of the World Wildlife Fund’s Biodiversity & Wine Initiative (BWI). Wording on the bags encourages sustainability: “Support conservation in the Winelands; look out for our wines displaying this label…Get the latest project information by writing www.bwi.co.za”; “Woolworths supports the Biodiversity and Wine Initiative. The Cape Winelands is home to more plant species than are found in the entire northern hemisphere, with 70 % of these plants found nowhere else in the world. The Cape Floral Kingdom is recognised as a World Heritage Site”. Attached to the bag is a BWI brochure, which explains the importance of ‘production integrity and environmental sustainability”, lists the members of the BWI, and salutes the BWI “Champions”: Backsberg, Bartinney, Burgherspost, Cederberg, Cloof, Delheim, Eikenhof, Graham Beck, Hermanuspietersfontein, Klein Constantia, La Motte, Lourensford, Oak Valley, Paul Cluver, Schalkenbosch, Vergelegen, Waterkloof, Waverley Hills, and Wedderwill. Woolworths encourages wine drinkers to look for wines carrying the BWI logo on the back labels of its wines. Platter’s South African Wines 2011 is available at R 159,99 from book stores, and can be bought online via www.kalahari.net and www.sawinesonline.co.uk. Today the full list of winners of the 2010 Platter’s Wine Guide 5-star wine winners has been released on the blogsite of The Pinotage Club. The Platter’s website does not provide any information about its top red and white wine 2010 winners, and the number of varietals and multi-winners, as provided in its media release two days ago and reported on the WhaleTales blog yesterday – see below. Franschhoek has three 5-star winners in the list, the most ever – Chamonix Chardonnay, Stony Brook Ghost Gum, and Boekenhoutskloof Cabernet Sauvignon. A surprising omission from the list is Hamilton-Russell, known to be one of the best Chardonnay and Pinot Noir producers in the Hemel and Aarde Valley.